There are lots of sneaky ways to squeeze a few extra inches out of a kitchen—or just make yours seem more roomy than it really is. 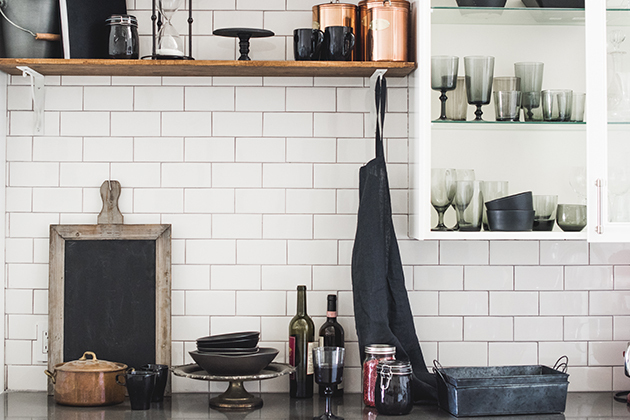 These tricks will help you learn to love your itsy-bitsy kitchen, and make the most of what precious space you do have. 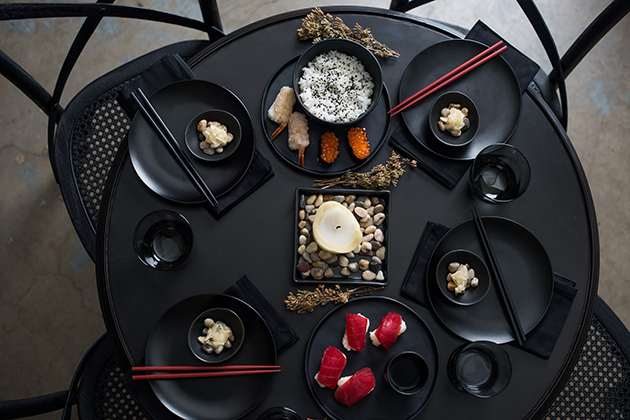 I do love to make my guests feel more welcome and cherished with a simple yet elegant tablescape. One of my favorite and simple ways to do so is with natural elements – plants, herbs, flora, or other organic elements. New black stainless steel from KitchenAid is an inspiration that lends itself to the rest of a kitchen design that is filled with striking and strong, beautiful blacks. 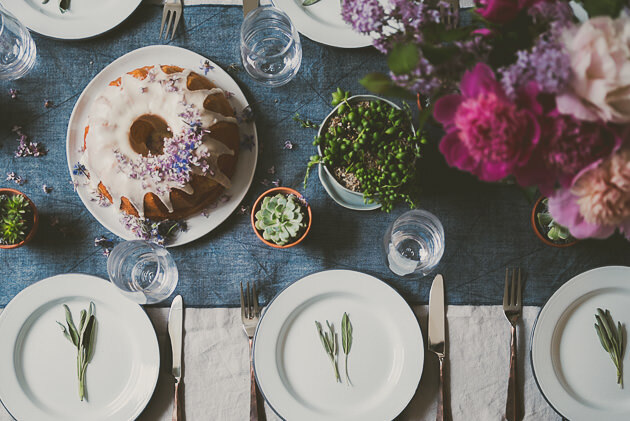 If you’re like us, you’re always looking for new ideas for stylish table settings. 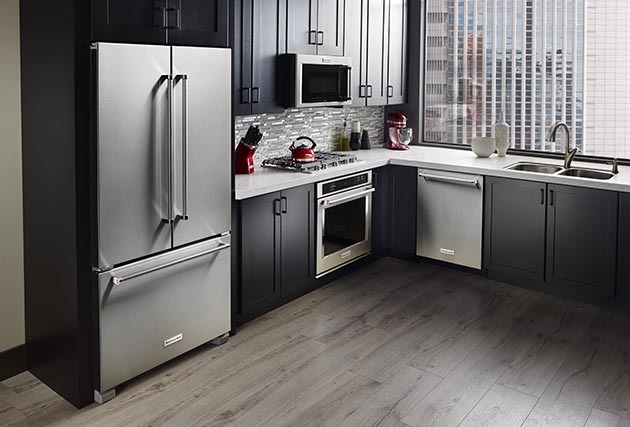 For inspiration, we looked to the new line of black stainless steel appliances from KitchenAid. 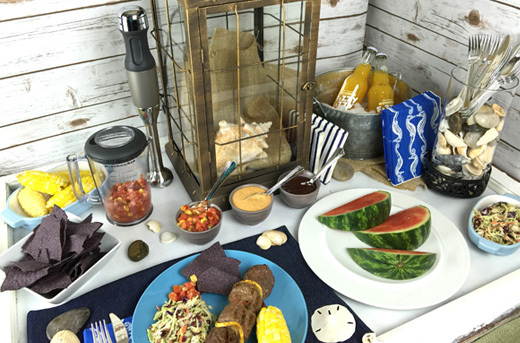 Well if you don’t live near the beach or you just don’t want to deal with all of the sand, bring the beach to your home with a summer grilling party!